Wouldn't it be funny if governments were spending mountains of money to make a substance illegal that prevents brain and prostate cancer, alzheimers and osteoporosis? Or would it be tragic? How about tragicomedy. The research on the benefits of marajuana smoking keeps piling up. Read and laugh; or weep; or both, at the two research articles below. The results were uncovered by a team at the University of Edinburgh who compared the drug's effects on mice. Osteoporosis affects up to 30% of women and about 12% of men at some point in their lives. The group found that cannabis can activate a molecule found naturally in the body that is key to the development of osteoporosis. When the type 1 cannabinoid receptor (CB1) comes into contact with cannabis, it has an impact on bone regeneration. However, until now, it was not clear whether the drug had a positive or negative effect. Researchers, funded by the Arthritis Research Campaign, investigated this using mice which lacked the CB1 receptor. 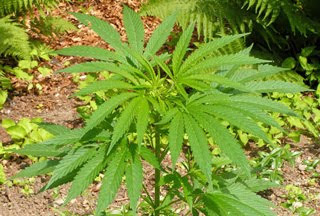 The scientists then used compounds - similar to those in cannabis - that activated the CB1 receptor. They found that compounds increased the rate at which bone tissue was destroyed in the young. 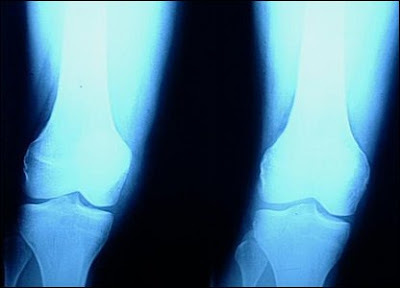 Despite this, the study also showed that the same compounds decreased bone loss in older mice and prevented the accumulation of fat in the bones, which is known to occur in humans with osteoporosis. The results are published in Cell Metabolism. Osteoporosis involves the thinning of bones, and if some measures are not taken, it can lead to excruciating pain accompanied by fractures and forms of disability. For treatment, one should take proper intake of osteoporosis drugs, eat diet rich in calcium, low-fat milk products, vitamin D, avoid caffeine. Yes I know I have it. They used to say it was irreversible but that is not true anymore...it is slowly reversible. Thanks for your comment tho.